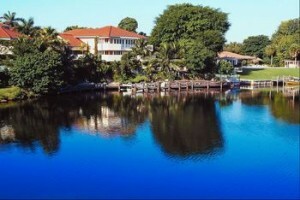 Many people purchase a waterfront property as second home, a vacation home. However, during these tough economic times, some might not be able to afford such a luxury expense. If you are one of these people, and you are mulling over the decision to make a waterfront home your primary residence, there are many factors to consider before doing so. Why do I want to own a waterfront property? Is it for the view, for the activities or both? If you want to live near more urban conveniences, you choose a property on a riverbank or a canal. If you would like more rural surroundings, an oceanfront home is a good fit for you! If you would like to go fishing, boating and swimming, make sure the water on your property will accommodate your needs. You should also research local, state and federal laws that may affect your plans. An important thing to remember is that, unlike your landscaping, the water on your property cannot be altered. If you are an avid swimmer, make sure your shoreline and the lake bottom/ocean floor is sandy, not mucky. If you plan on fishing, research the native fish that live within your body of water. What happens if there is a hurricane? Keep in mind that flood and hurricane insurance is generally sold separately from home owner’s insurance. FloodSmart.gov boasts a ton of useful information to help you select the right combination of insurance policies for your waterfront home. When it comes to owning a waterfront property, there is a lot more to it than enjoying a breathtaking view or swimming on your own private beach. Carefully consider the location of your home, all rules and regulations concerning the water and the possibility of enduring severe weather. » Increase in Home Sales!